Anaarkali of Aarah movie review: With Anar, Swara Bhaskar gets a role worthy of her. The film uses lines and situations involving crudity but never turns vulgar. Nowhere does Anaarkali of Aarah makes you cringe, and that’s a real achievement. Anaarkali of Aarah movie review: The film thrives on a full-bodied, crackling performance from leading lady Swara Bhaskar, who lives her role as Aarah wali Anarkaliya. Does a woman who sings and dances with abandon, whose songs use double-meaning lyrics, and who is visibly a free spirit, automatically become available to a man who pegs himself higher in the social-economic pecking order? Anaarkali of Aarah says it like it should have been, with a resounding ‘No’. And I say an equally resounding ‘yes’ to this film, helmed by a bunch of excellent actors, and a debutant director with a staunch true voice. Actually, the name Anaarkali of Aarah doesn’t do justice to the film. The refinement of the ‘of’ makes it anodyne, which is very far from the tone or tenor of what’s on screen: it is a full-bodied, crackling film, powered by a full-bodied, crackling performance from leading lady Swara Bhaskar, who lives her role as Aarah wali Anaarkaliya ( as a character calls her). A show by the much-sought-after Anar is full ‘paisa-vasool’. She gives her clients what they want — a bawdy, rowdy time, where the innuendo-laden lines, and the suggestive ‘latkas’ and ‘jhatkas’ is all part of the deal. What’s also part of it is, once the ‘parogram’ is over, that everyone packs it in and goes home, including the ‘nachne-gane wali kalaakar’. Yes, it is a ‘kala’. It’s when an entitled policeman (Sanjai Mishra) crosses the line that things go horribly wrong. The feisty Anaar is forced to go on the run, fetching up in the national capital, but will Delhi be more than a brief refuge? As the eponymous Anaarkali, whose name appears to be a deliberate hark back to that one who also sang and danced, at the pleasure of emperors in Mughal times, Bhaskar is stellar. She’s always done well as the girl who knows her mind; here, she gets to heart as well, and lets us in into the heartbreak of a woman like her, who is no innocent (Avinash Das doesn’t make the mistake of making her a ‘doodh-ki-dhuli’ ingénue), and who clearly has made sexual choices in her past, but who draws the line at being pawed and groped without her consent. She may be laying it out in public, surrounded by mostly lusty men, but at no point is she putting out. I wasn’t as convinced with some of the things Anaar is made to do when she is trying to face up to the cop: women in her position, however gutsy they may be, know when they have to retreat. In some places, the inexperience shows, and the bits about ‘ashleel naach gaana band karo’, perhaps thrust in to please the censors, are left hanging. But those are small things. It’s tough to make a film which uses lines and situations involving crudity and not turn vulgar. This is how we would expect the characters to speak: anything else would be artificial. Nowhere does the treatment in ‘Anaarkali’ make you cringe, and that’s a real achievement: the director skillfully navigates the multiple tricky all-male threads, making Anaar a complex creature, who reveals a playfulness when she jousts with her working partner who could also have benefits, Rangeela (Pankaj Tripathi, is, as usual, terrific ), and an affection for her ‘mandli’ ( the camaraderie is a real thing). It’s not just Swara Bhaskar who makes us feel that she has sprung from the place the film is set in. 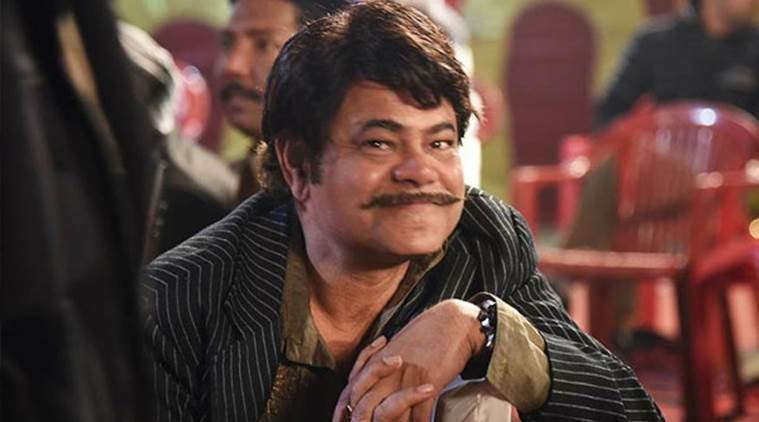 All the other characters — Tripathi proves he can swing a mean waist, Mishra wears his wig and his small-town `pulisiya’ villainy with panache, Khan endears himself as the genial fellow who wants to help her ‘des ke khatir’ (is his name ‘Hiraman’ a tribute to the Raj Kapoor character in Teesri Kasam? ), and a bunch of little-known faces — Vijay Kumar as SHO Bulbul Pandey, Mayur More as the young admirer who helps Anar when she’s down and out, Nitin Arora as the pragmatic studio owner — all add to the authenticity and salty flavour. The payoff seems to have been created for an upbeat ending, but we can’t help cheering when Anar rises, refusing to be cowed. What it says needs repeating: whatever kind of labour it may be — including women who strut their stuff — dignity is paramount. Anaarkali manages to hit many marks. Bhaskar gets a lead role worthy of her. Das is a new director to watch out for. And more than anything else, it is a ‘ladies-oriented’ film. Enough and more, in these dismal times. 1 Why Salman Khan doesn't invite Nawazuddin Siddiqui to his bashes?